Storm at the airport. 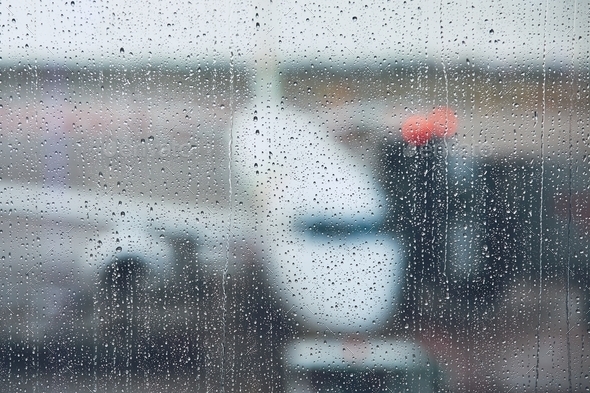 View of the airplane through rain drops. Themes weather and delay or canceled flight.